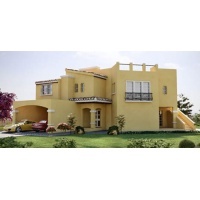 Al Waha villas is an idyllic gated community in dubailand offering exclusive family villas for sale. Situated adjacent to the Dubai Bypass Road with easy access to Sheikh Mohammed bin Zayed Road, Al Waha’s gated community of 2, 3 & 4 bedroom villas offers residents a self-contained environment rich in features and amenities. From a local supermarket and swimming pools. Al Waha villa’s landscaped walkways and gardens create the ideal space for tranquil family living that is in close proximity to Arabian Ranches, Motor City and other key developments.